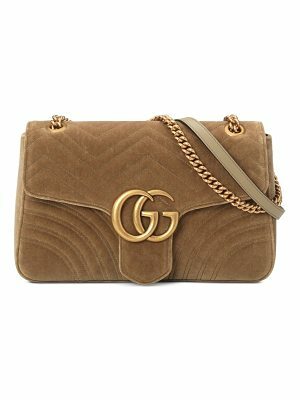 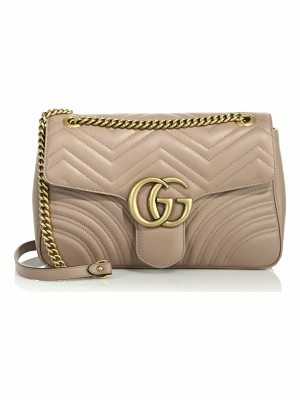 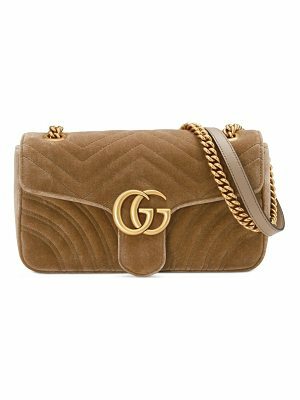 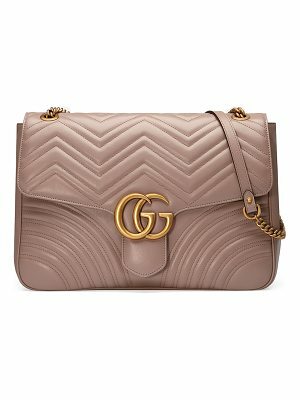 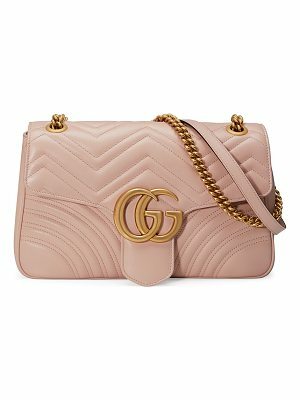 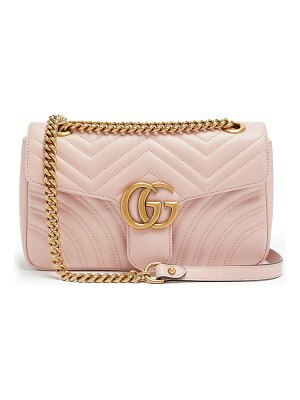 Gucci's 'GG Marmont' medium shoulder bag has been crafted in Italy from quilted leather in a beige hue that's so easy to style. 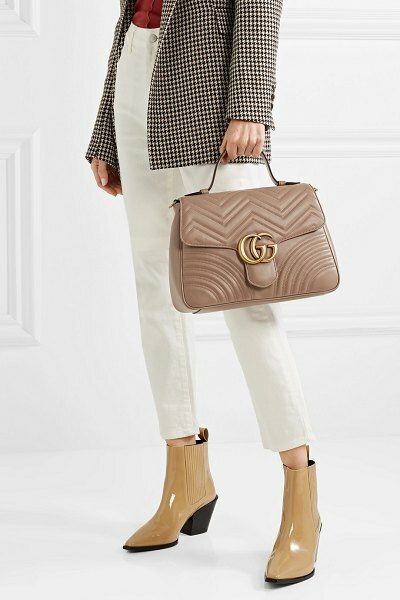 It's embellished at the front flap with the house's signature burnished logo hardware and opens to a spacious suede-lined interior that's fitted with zipped and slit pockets so you can easily access your tickets, boarding pass and smaller essentials. Carry it by the top handle or attach the strap to wear it cross-body.